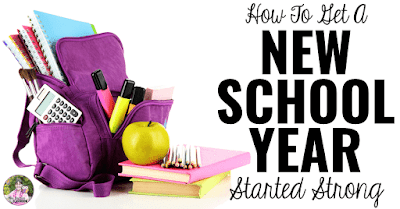 At the beginning of a new school year, establishing routines and expectations is critical to the success of the rest of your year. 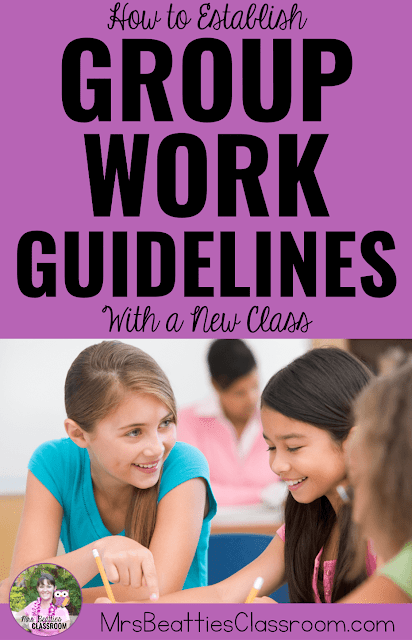 If you plan on including collaboration in your classroom you're probably wondering how to establish group work guidelines with a new class so that you see the best results. I've always found that the best way to ensure success with classroom routines and procedures is to give your students some control over the guidelines. Let's face it, by junior grades and middle school, the kids have worked together in groups enough to know what works and what doesn't and they're very good at voicing concerns they have. What do you enjoy about working in groups? 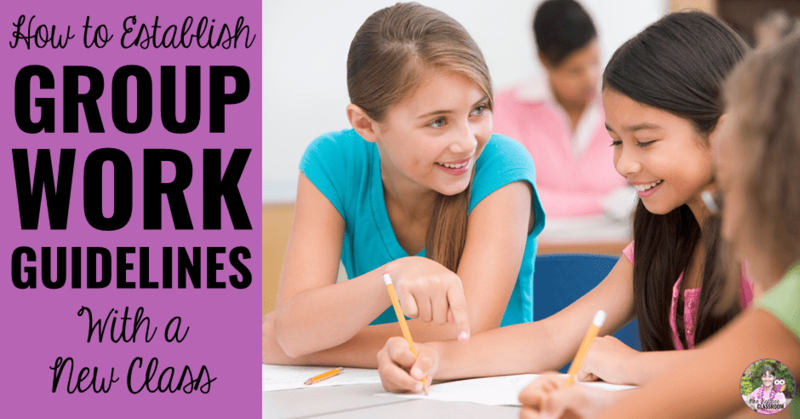 What works well when you're working in groups? What do you dislike most about working in groups? 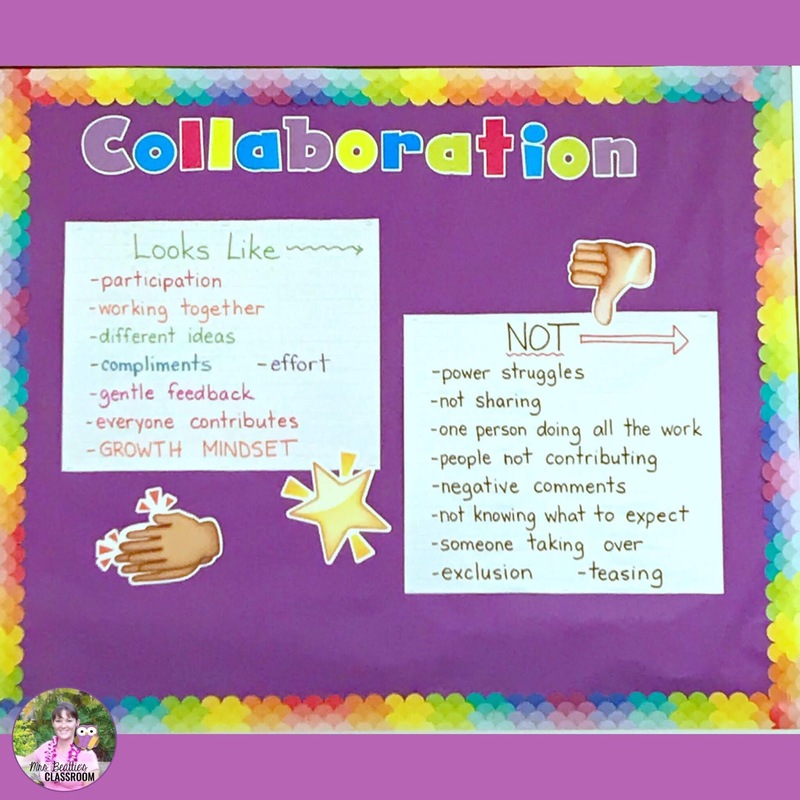 What things make group work fail? As my students shared, I wrote, and we compiled a great list of what group work looks like and doesn't look like. 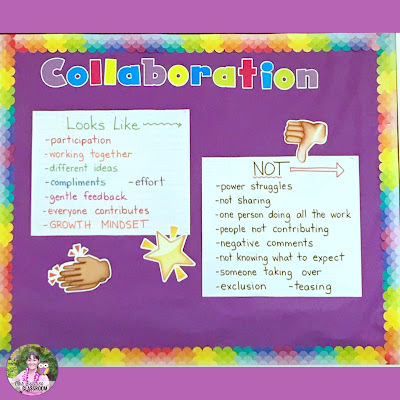 These points have become our Group Work Success Criteria, which I've posted on a prominent bulletin board in our classroom. We'll be coming back to these all year long as we collaborate on learning activities. We have also been discussing the quality of the contributions during group work. 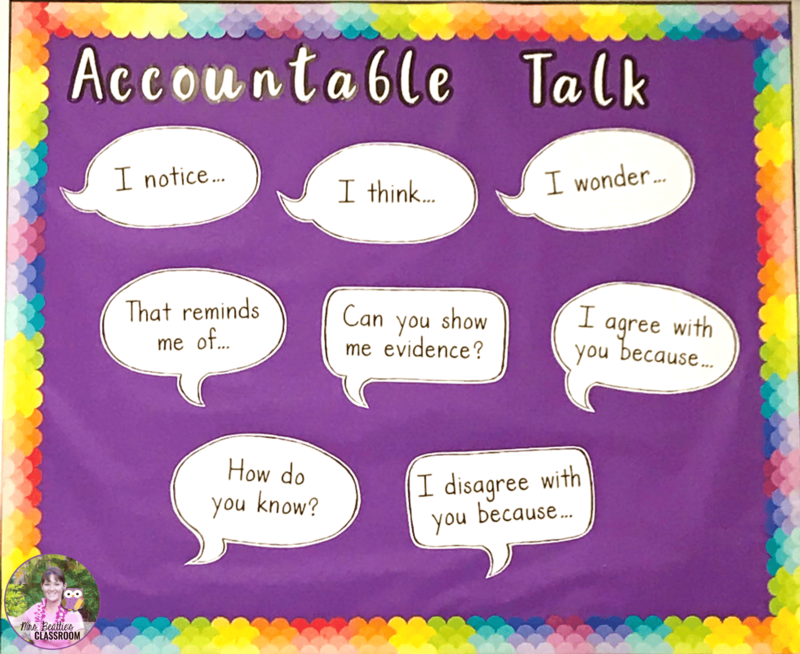 Accountable talk is very important to the success of collaborative tasks, so I've also posted some stems for my students to use to get them started. These are available in my Teachers Pay Teachers store in a huge bundle of 50 stems, but you can grab a free sample right here on the blog! 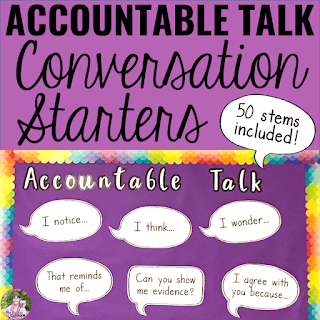 I'd love to hear how you encourage collaboration and accountable talk in your classroom! Leave me a comment below or send me an email to add your thoughts!